My next-door neighbors talk about organized religion over wine and nibblies on the deck. 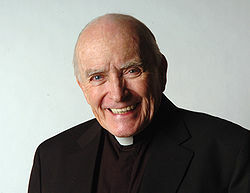 God rest your soul, Fr. Andrew Greeley!